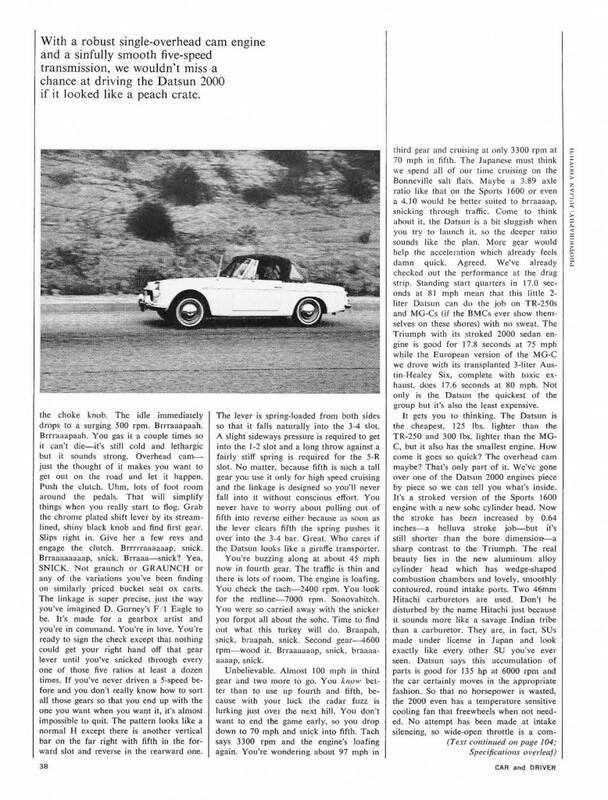 In 1968, most major automotive publications were busy fawning over the latest land barges from US manufacturers or making excuses for the build quality of their favorite European sedans or sports cars. 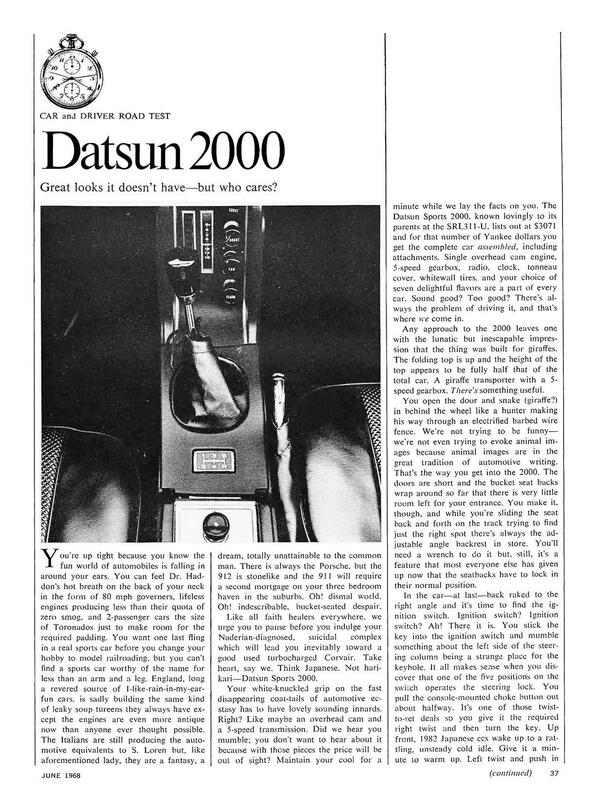 However, in mid-1968, Car & Driver dedicated a five-page review to the newly-redesigned 1968 Datsun 2000. 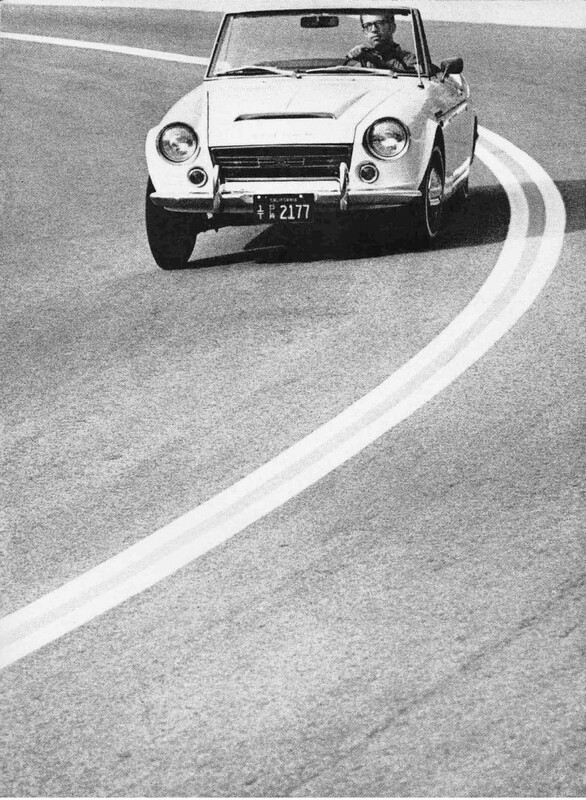 Contrary to the author’s opinion, Datsun Roadsters are attractive, albeit possibly more “cute” than handsome. 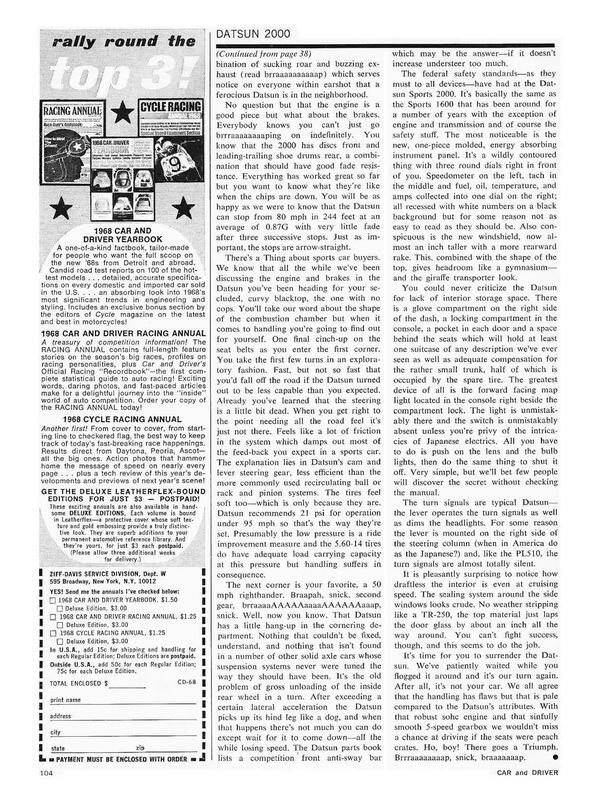 The mandatory changes in response to updated Federal motor vehicle safety standards meant the flat metal dash and low windshield were gone, but the small hood scoop and stacked tail lights remained as unique features. While the majority of Datsun Roadsters built were 1600 models, the 2000 was a legitimate stoplight sleeper. 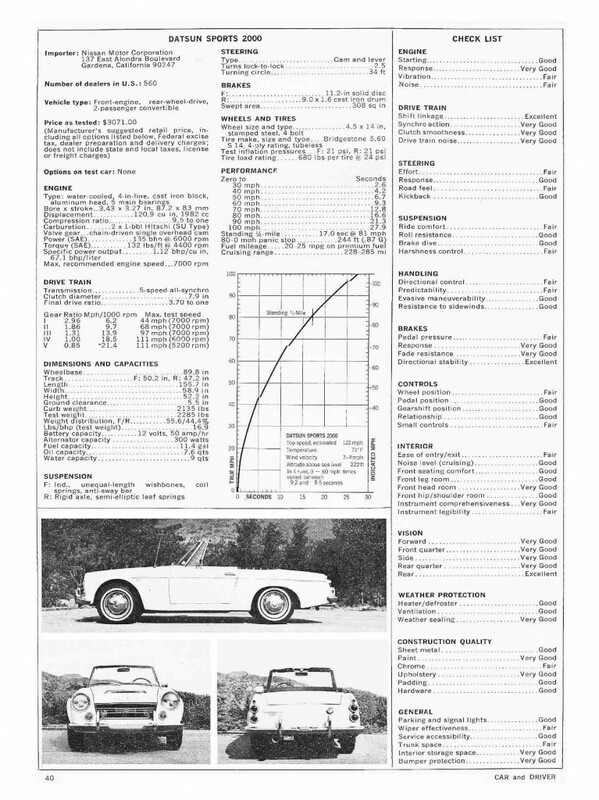 With 135 hp out of the box (and more to be gained with a few tweaks), the 2000 Roadster remains rare and desirable.